Because your customers’ dining experience depends on a clean, pest-free environment, employing Gregory’s experts makes sense. Gregory Pest Solutions has extensive experience in restaurant pest control and has developed the premier pest management program in the industry. 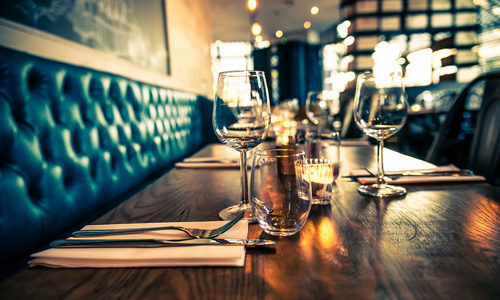 The Gregory Integrated Pest Management Program uses the latest techniques, tools, and materials developed specifically for restaurants. We emphasize long-term solutions to pest control rather than the short-term quick fix. To do this, we combine a variety of pest management practices, including sanitation, mechanical, and cultural controls. We select practices that have the lowest impact on both the environment and non-target organisms. Our State of the Art Paperless Electronic Data Recording with Web Portal Access is available for all clients. The account belongs to your company, and you can customize who has access to the account, alert levels, and trending reports that fit your needs. Designed by a national team of specialists, with strong client input, we feel it is the best the industry has to offer. We provide restaurant pest solutions in South Carolina, North Carolina, Virginia, Georgia, Florida, Alabama, Tennessee, and Mississippi. Specialized commercial services are also available in Washington DC, DE and Maryland. Visit us at the Greenville Home Show!